This is the story of Princess Anne, the Princess Royal was the eldest daughter of George II. Princess Anne was born into what we would call a dysfunctional family in May 1709. (For more information about her grandmother and the House of Hanover read my blog on 15th November.) Anne was a remarkable woman in many ways; criticised and praised by contemporary chroniclers for her arrogance and her accomplishments in equal measure. 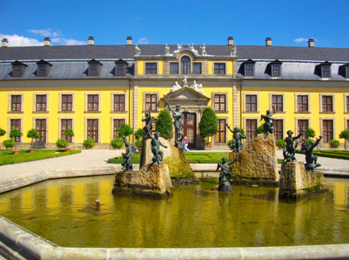 Anne was born at Herrenhausen Palace, Hanover, five years before her paternal grandfather, Elector George Louis, succeeded to the British throne as George I. Her parents’ relationship with King George I was a troubled one. 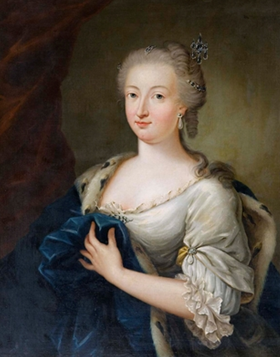 Her mother, Caroline of Ansbach, was brought up in the Prussian Court where she was treated as a surrogate daughter and was well educated. It is difficult to know to what extent her experience of life at the boorish and brutal Hanoverian Court influenced her opposition to George I in England. One cannot help wondering did Caroline suspected her father-in-law of having her mother-in-law’s lover killed? Did she support her husband’s desire to set his mother free from her imprisonment at Ahlden? Whatever the cause, their relationship was not good and Anne’s parents left Hanover in 1714 and did not return. Political differences between father and son led to factions in the court in Hanover from the late 1710s. These disagreements carried over to the British court and came to a head following the birth of George and Caroline’s second son, Prince George William in 1717. At the baby’s christening, Anne’s father publicly insulted the Duke of Newcastle. This so infuriated George I he banished his son and daughter-in-law from St James’s Palace. The king kept their children, including Anne under his guardianship at Leicester House. The family rift was healed, in part at least, in 1720 when Anne’s brothers were returned to the care of her parents but she and the other girls remained the wards of the King. That year, 1720, Anne’s body was ravaged by smallpox. It is estimated the disease killed an estimated 400,000 Europeans a year during the closing years of the 18th century. This near-death experience and her parent’s experience of the disease at the beginning of their marriage led Anner to support her mother’s efforts to test the practice of variolation (an early type of immunisation against smallpox). The practice of variolation was witnessed and recorded by Lady Mary Wortley Montagu and Charles Maitland while they were in Constantinople. At the direction of her mother, Queen Caroline, six prisoners condemned to death were offered the chance to undergo variolation instead of execution. The prisoners all took the offer and they all survived, as did six orphan children given the same treatment as a further test. (There were no medical ethics committees then). 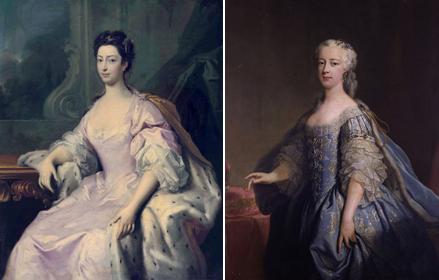 Convinced of variolation’s safety, the Queen had her two younger daughters, Amelia and Caroline, inoculated. Royal patronage the practice spread the demand for inoculation amongst the upper classes. 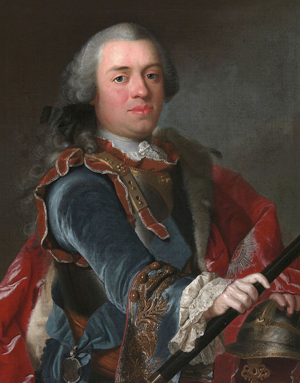 On 22 June 1727, George I died while in Germany, making Princess Anne’s father king. The following year, her elder brother, Frederick, who had been educated in Germany, returned to England. Father and son had not seen one other in 14 years and when they did the fireworks began. Their relationship was even more tempestuous than the one between George I and George II especially after 1733 when Frederick purchased Carlton House and set up what George II considered to be a rival court. As a daughter of the future British King Anne’s marriage was always going to be a dynastic one. As a princess requiring a Protestant marriage, her options were limited. The government hit on the idea of a marriage with the rather lowly William, Prince of Orange-Nassau to sure up their anti-French alliance. George II was not enamoured with the proposal and Anne was concerned too because William had a well-known physical deformity. To find out more she dispatched Lord Hervey, a close confidant, to report on its extent. Hervey reported that although William was no Adonis and his body was as bad as possible; William suffered from a pronounced curvature of the spine, probably the result of sclerosis-like the English King Richard III; he had a pleasing face. Despite his deformity and the inferiority of his territory, Anne decided she would take him. She was already 25 years old and did not want to end up an old maid surrounded by her warring relatives. When they married in 1734, her mother and sisters wept through the ceremony. Lord Hervey described the marriage as more sacrifice than celebration. As an outsider and British, Anne was not popular in the Netherlands. Her life must have been a lonely one as she did not get along with her mother-in-law and her husband was frequently on campaign protecting the states of the Dutch Republic from its enemies. In these lonely years Anne concentrated her efforts on literature and playing the harpsichord; she was an accomplished artist, musician, and lifelong friend of her music teacher George Frederic Handel. Producing the required heir was problematic too. In 1736, Anne gave birth to a stillborn daughter and then another in 1739. Her first live birth came in 1743 with the arrival of Princess Carolina of Orange-Nassau who was followed by another daughter, Princess Anna two years later. Her only son arrived in 1748 when she was 39 years old. When her husband died three years later in 1751 at the age of 40, Anne was appointed regent for her 3-year-old son, Prince William V.
Anne was given all prerogatives normally given a hereditary Stadtholder of the Netherlands, with the exception of the military duties of the office, which were entrusted to Duke Louis Ernest of Brunswick-Lüneburg. To say that she took to the role like a duck to water would not be an exaggeration. Finally free to exercise some power, in true Hanoverian style, Anne used her wit and her determination to secure her personal power base and with it the dominance of her family and the Orange dynasty. Anne was hard-working but remained unpopular. Commercial rivalry between the Dutch and the British East India Companies was part of the cause. Another reason was the constitution of the United Provinces. But what made her most unpopular was that she seized the opportunity to centralise power in the office of the hereditary Stadtholder over the traditional rights of the Dutch states particularly the State of Haarlem. Her foreign policy was also a source of vexation for the Dutch as she favoured a British-German alliance over alliance with the French. Ultimately, as a woman she was reliant on the men around her and it is fair to say that her husband and her son were fighting a losing battle against the tide of history at the end of the 18th century and Anne with all her skills could not realise the ambitions of the House of Orange on her own. She ruled the Netherlands for eight years dying of dropsy in 1759 when her son was 12. She was replaced as regent by her mother-in-law, Marie Louise of Hesse-Kassel and when she died in 1765, Anne’s daughter, Carolina, was made regent until William V turned 18 in 1766. Anne was a remarkable woman. With her beauty shredded by smallpox, she took on the world and won. (I am sure she took the opportunity to show herself in her best light in her self-portrait above.) Anne accepted and made a success of her marriage which on the face of it held little prospect for personal happiness. An intelligent if a haughty woman she endured many years of loneliness, the pain of 2 stillborn children and widowhood. As Staadholder (chief executive of the Dutch Republic) she was as effective as any man and laid the foundations of the Dutch royal family. Her grandson, William I became the first king of the Netherlands in 1815. George II: King and Elector By Andrew C. Thompson, 2011, Yale University Press.